We just passed the 12.000 mark on the number of passengers that have flown with us in our regional route Bragança – Portimão. More than 4.400 passengers when compared with last year’s results. The airline registered an amazing 49.6% increase in occupation rate in the first 8 months of 2018 when compared to the previous period in 2017. According to Alexandre Alves, Sevenair CCO “these growing numbers reflect the commitment to deliver quality, reliability and a regular service to our passengers”. Thank you for trusting us. 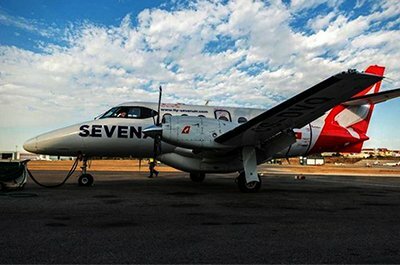 We hope to see you again on another Sevenair Airlines flight.